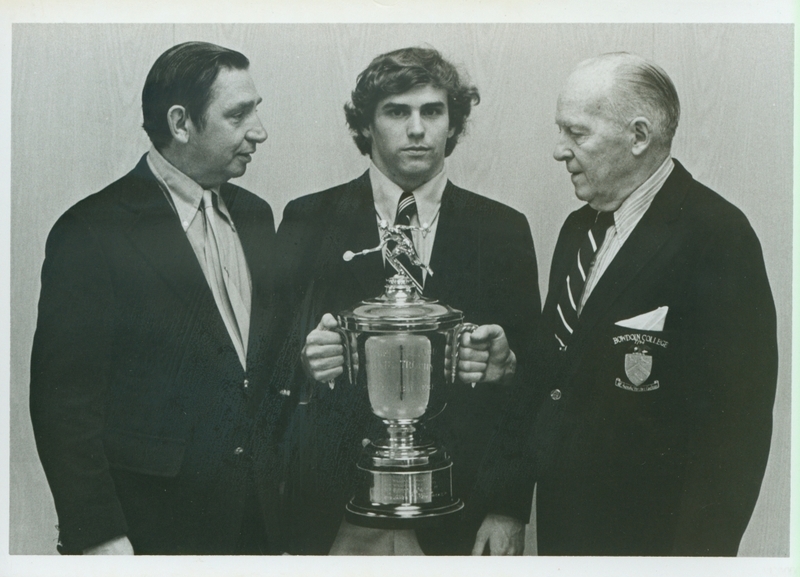 Left to right: Edward T. Reid, tennis coach; James J. Fitzpatrick III (Class of 1976); and Samuel A. Ladd, Jr. (Class of 1929). Fitzpatrick is receiving the Ladd tennis trophy. Fitzpatrick also received the trophy in 1975.